You know what they say: you can take the stadium out of the trash, but you can't take the trash out of the stadium. 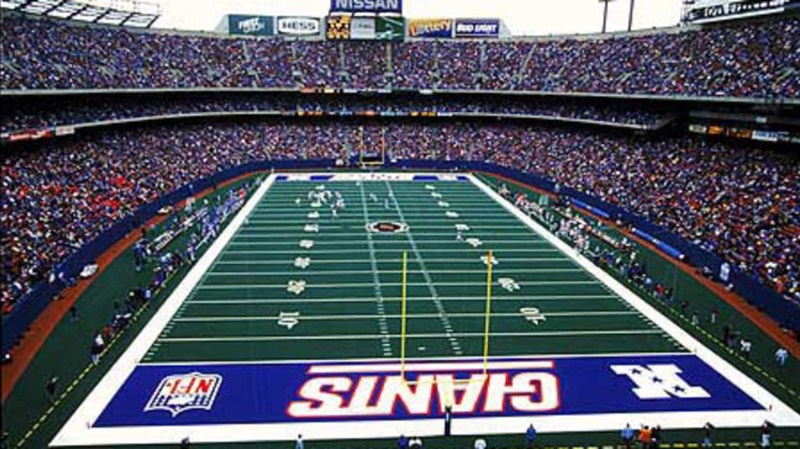 Many American sports meccas—such as Comiskey Park in Chicago, Mile High Stadium in Denver, and Giants Stadium in New Jersey—were built on top of the landfills because the land was cheap and convenient. Unfortunately, the past doesn't always stay buried. White Sox shortstop Luke Appling felt the spike of his shoe hit metal as he was heading out to his position in Comiskey Park. To his surprise, he'd struck a large copper kettle. The game actually had to be delayed to dig up the kettle and then again to fill in the gaping hole near second base. But the trouble in New Jersey didn't prevent the residents of Antioch, Illinois, from trying to turn their trash into treasure some years ago. With the help of the Environmental Protection Agency, the town converted its 121-acre landfill into an athletic complex for the local high school, which included five soccer fields, three softball fields, and 12 tennis courts. But that wasn't all. Antioch also tapped into the waste inside the landfill, which releases methane and other combustible gases. Engineers piped this gas into the high school campus, heating it all winter long. This ecofriendly design trimmed the town's electricity bill and may even turn a profit. On nights and weekends when school is closed, Antioch sells the surplus power back to a local utility. "¢ Fresh Kills landfill on Staten Island can be seen from space. Fresh Kills served New York City for five decades, and like many retired landfills, it will ultimately become a park. "¢ Forget panning for gold. If you want to try your hands at prospecting, head for a dump. One ton of trashed computers can contain more gold than 17 tons of gold ore.
"¢ The number one most common thing in a landfill: Paper. "¢ In years to come, your car may run on trash juice. Engineers are perfecting techniques to condense landfill gas into clean-burning, liquid fuel. Fittingly, this fuel already powers garbage trucks in some parts of the country. "¢ Wish they all could be California landfills? The Fresno landfill, built in 1937, was the country's first "sanitary" landfill, in which trash is compacted and buried under a layer of dirt every day, keeping out rats. By 1945, more than 100 cities had copied Fresno's model, and today it can be found worldwide. In honor of Fresno's influence, the landfill was named a National Historic Landmark.